This is photobombing at its best here. Texas A&M coach Kevin Sumlin went on a family vacation, as coaches should do during the offseason. 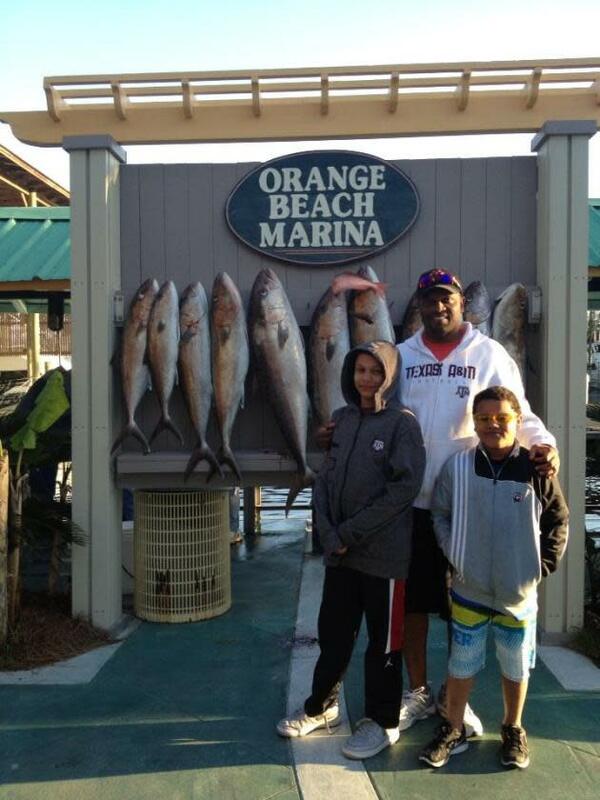 And he posted a really nice picture with two of his children at Orange Beach Marina. Are all those huge fish in the back Sumlin's haul from a productive day of fishing or just a good background for a cool picture to go in the family photo album (and on Twitter)? Not sure, but it's nice either way. There's probably a joke about Sumlin's recruiting ability and being able to haul them in that fits pretty well here. But wait a moment, what's going on with that fish in the back? Well then! 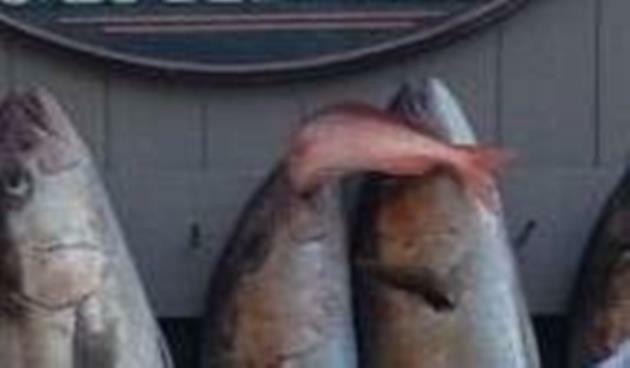 It sure looks like that fish was hungry and having some lunch when it was caught. I guess the Sumlin kids got a nice fishing day out with dad and a lesson in nature's food chain as well.